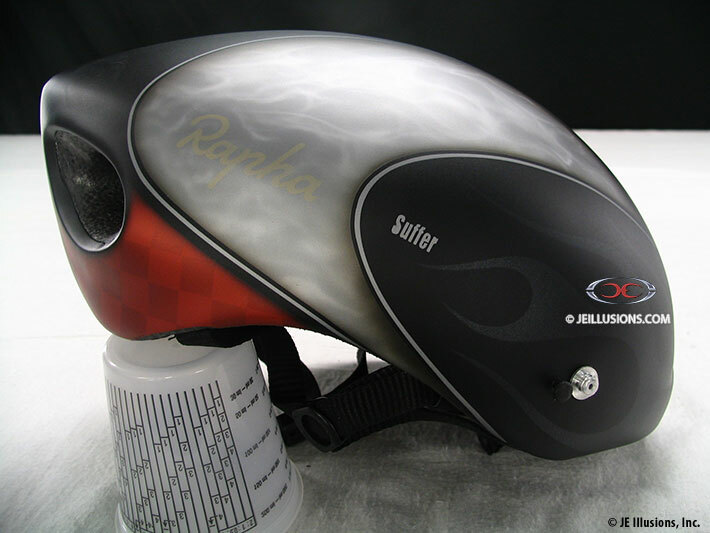 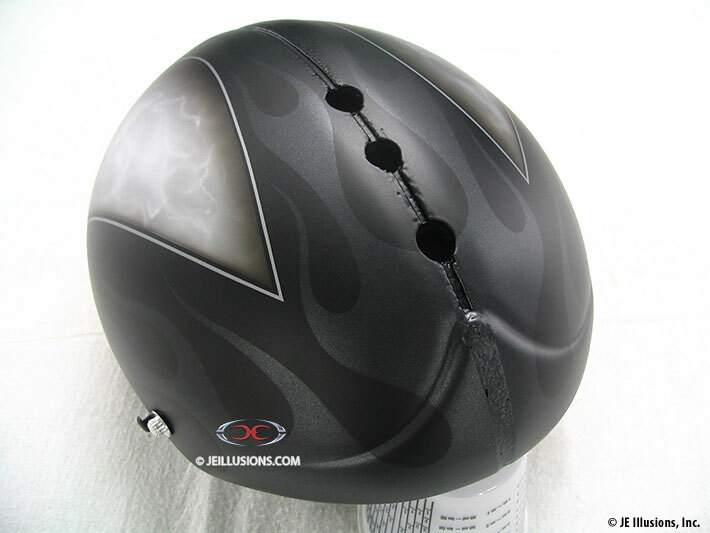 This custom painted helmet features Black on top with dark Gray tribal design blended in. 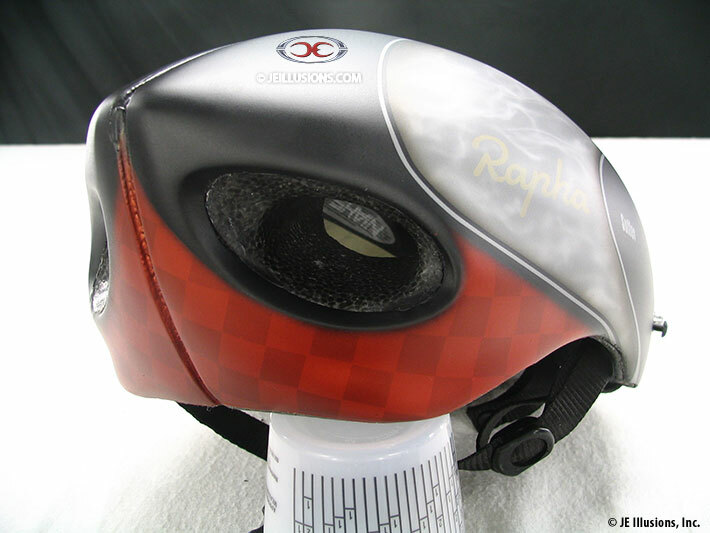 Smokey White marbling effects highlights on each side with pin-striping and Rapha logo. 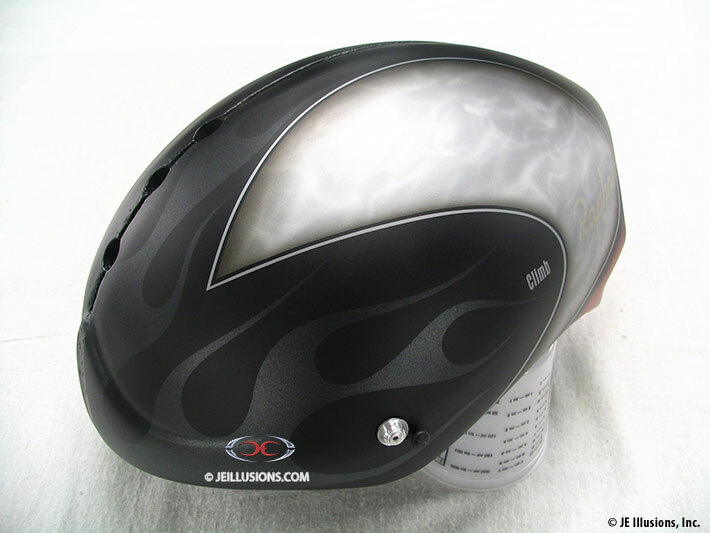 Red checkerboard effect along the bottom side helmet rounds this design off.